Package Design for Essential Medicina. Essential Medicina is the alchemical brainchild of Dr. Eric Baumgartner L.Ac. who has spent the last 20 years in the study and practice of medicine and herbal traditions from around the world. Essential Medicina, offers a very unique one-of-a-kind kind of prescription: “heal thyself” and is constantly using it’s mortar and pestle to bring about new herbal formulae to help all those in need regain energy, clarity, vision and joy! 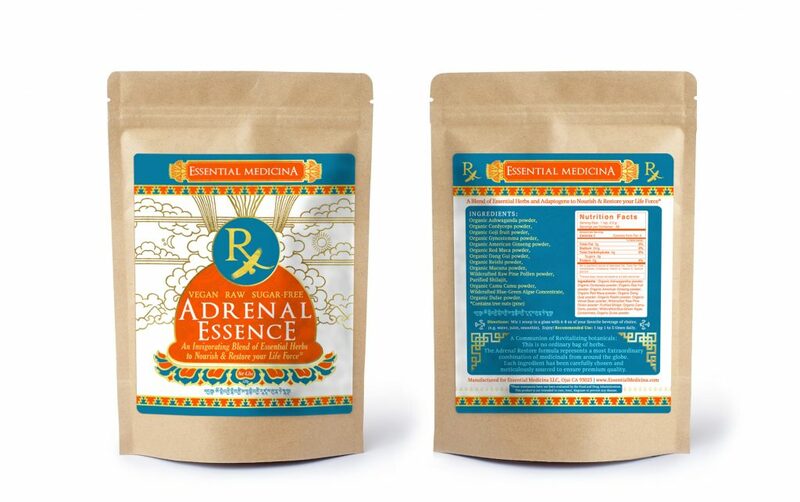 Essential Medicina is an east-meets-west wellness center that fits perfectly into your kitchen and lifestyle – rest assured and re-awaken knowing there’s always a doctor in the house!